Last week I spent an entire morning and afternoon constantly refreshing the BH Cosmetics website. Their site had slowed down to a snail's pace and I wasn't able to get anywhere past the checkout page. What could have possibly been so important to have caused thousands of people to converge onto one cosmetics website at the same time? The answer is Carli Bybel. 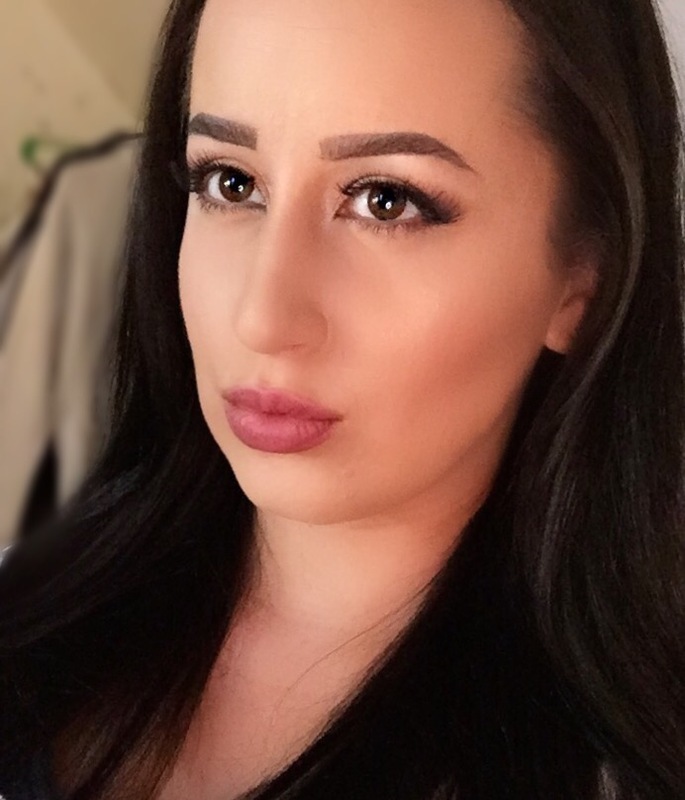 If you are unaware of who Carli Bybel is then you are sadly missing out on one of the most knowledgeable and skilled experts in the makeup and beauty world. 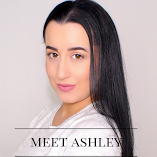 She is one of the best known YouTube beauty vlogger who last week released an eye shadow and highlighter palette that brought the BH Cosmetics website to a standstill. 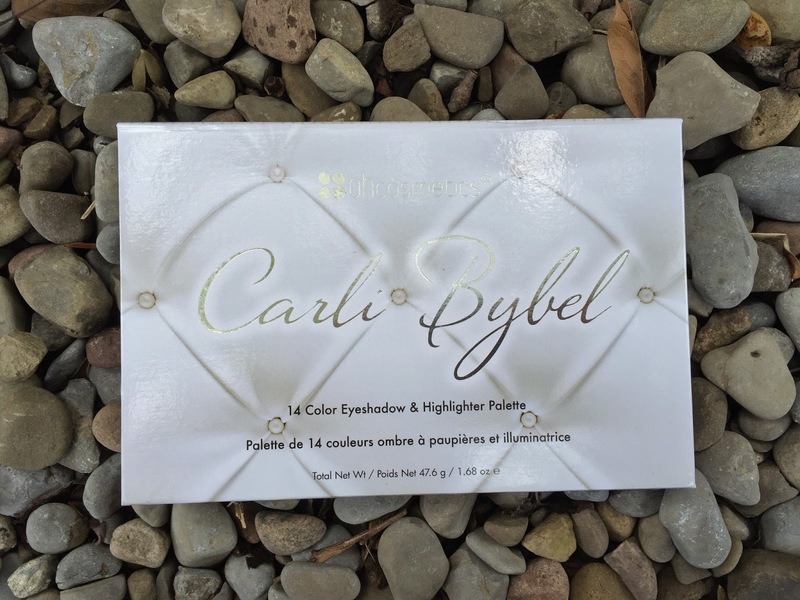 The Carli Bybel palette consists of ten eye shadows and four highlighters, all in the earthy neutrals that define Carli's signature style. The eye shadows are creamy and well pigmented, and run a shade gradient from pale pink to deep brown. Five of the eye shadows are matte and the other five are shimmer, and allow for great versatility in the types of looks that can be created, from a pale neutral to a deep smokey. The range of highlighter shades are meant to compliment many skin tones and provide a beautiful glow to the skin atop cheekbones. Just a tap of product on your fan brush is enough to create a goddess-like appearance. Even if some of the darker or lighter shades do not compliment your skin tone they are highly pigmented and will work great as eye shadows. This was my first time purchasing from BH Cosmetics. 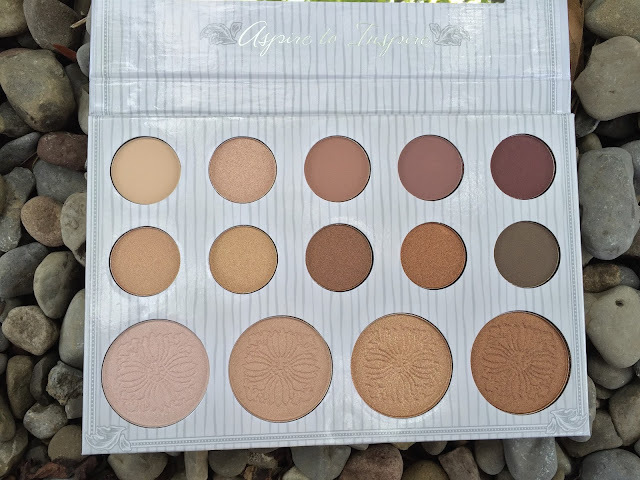 At an affordable $12.50 for the palette I half expected to be disappointed at its quality, even with Carli's name on it, but I was overwhelmingly surprised at the beautiful quality and consistency. The palette is comparable to many of its high end duplicates. If all of BH Cosmetics's products are of this high quality, then forever count me in. Using the Carli Bybel Palette by BH Cosmestics I use the top third color, which is a matte light brown, with a blending brush in the crease of my eye and blending upward. This is going to be our transition shade. I then apply the top fourth color, which is a matte burgundy mauve, directly into my crease using windshield wiper motions. I reapply this color a couple times to build the color, making sure it blends into my transition shade but stays directly within the crease. I take the darkest color in the palette, a smokey black-grey, to define my outer corner. I apply this directly to the outer third of my eye lid in the shape of a sideways "<" to smoke out the look. While I make sure to concentrate the color only to this area, I take it up into my crease and down into my lower lash line ever so slightly so as to enhance the smoky effect. Using a flat shadow brush I take the third highlighter from the palette, a yellow gold, and press these onto the center of my eye lid. Once the color is as vibrant as I want it to be, I then go back in with a blending brush and just make sure the crease and the outer V are evenly blended into the gold and there are no harsh lines. I then go back in to the gold highlighter and add just a touch more color to the center of my lid. In need of a very dark black to line my eyes I use the Lorac Pro palette, taking a small angled brush to draw on my eye liner using the shade Black. I get as close to the lash line as possible and press down on the lid to create a black line. I wing this out just a little when I reach the outer corner of my eye. I then use the top first color from the Carli Bybel palette to highlight the inner tear duct with a fluffy blending brush, and a small flat shadow brush to highlight my browbone just below my eyebrow. Finally, I take the matte burgundy mauve color again from the Carli Bybel palette and glide it below my bottom lash line, making sure to blend into the outer corner of my eye to give the entire look a rounded out smokey eye. 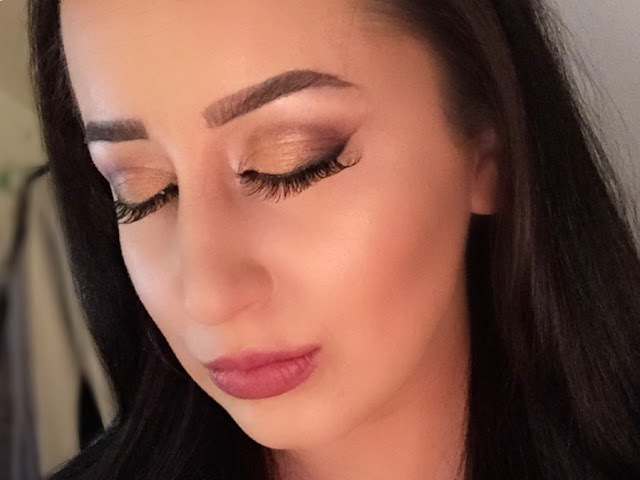 To give this look some added effect, I add a touch of the gold highlight to the center of my bottom lash line. To compliment this bold autumn eye look I decide on a mauve lip. I outline the lip with NYX Slim Lip Liner in Mauve and also use this to fill in the rest of my lip.